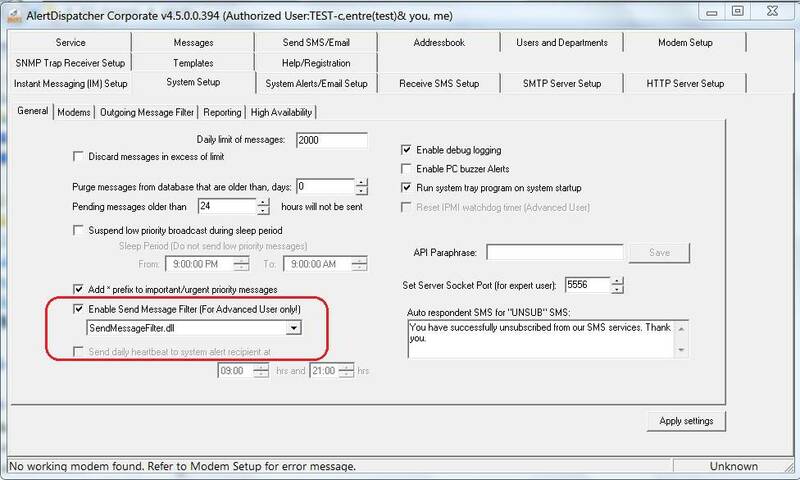 - Added email attachment support for email relaying (via SMTP Server). - Assign monthly SMS send limits to users. - Remove acknowledgement requirement for messages contain specific keywords, e.g. recovered, normal (for escalation groups). - Custom send filter to intercept, rewrite the content of outbound messages or to convert into another format, e.g. SNMP Traps. - Emergency pause button for sending messages. - Ability to acknowledge escalation messages using GUI client. - Web-based Server Management - Configure networking, upgrade software, backup/restore database and configuration." - Displays "processing messages" at the top of message grid. - Fixed email reporting bug. - Daily/monthly/yearly usage reports breakdown by users, by departments (of users) and by modem (for SMS)"
- New Extended MAPI interface. 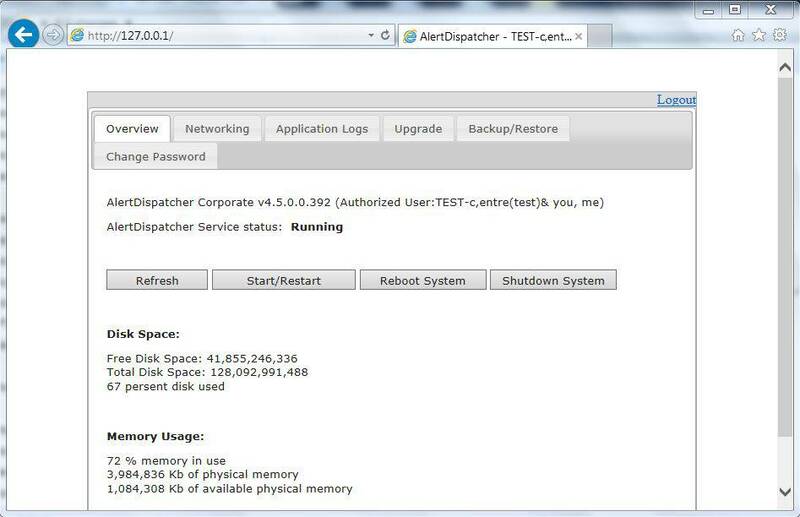 - Added failover server and recipient type paramaters for command-line interface. - Linux version of command line interface program." - Define character encoding when writing received messages to SQL database. 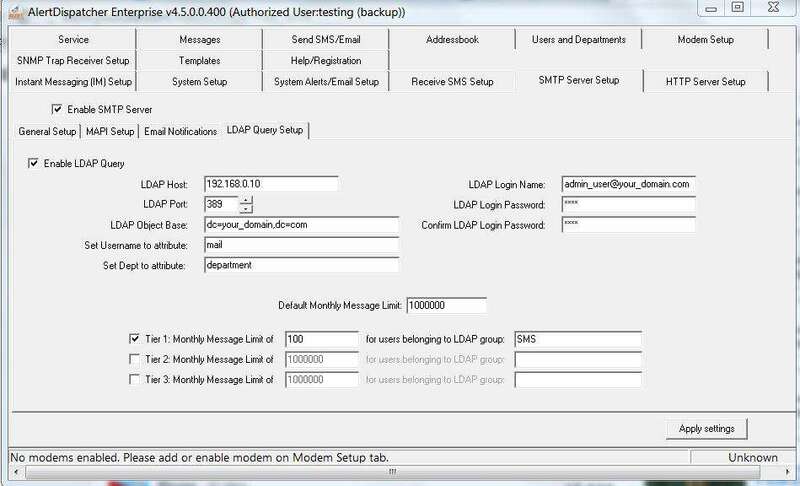 - LDAP/Active Directory user integration for SMTP Server interface." a). Limit the monthly usage of email users that are members of an LDAP directory (or Active Directory) by group. b). Set default limit and specific limit for up to 3 LDAP groups. c). Assign the department for each user by defining the LDAP attribute for department - for reports to show total usage by department. - Daily heartbeat message scheduler. - Improved error reporting on transmission failure due to SIM card out of service, insufficient funds, etc. - Active/Active HA Failover Cluster - SMS failover on modem/transmission failure (pending message mirroring)*. - Replicated User/Department, Addressbook and Template database for nodes (one-way)*. 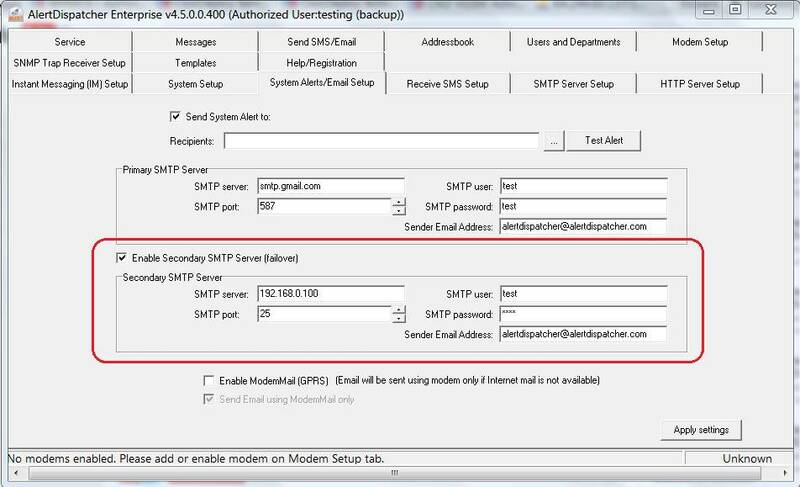 - Failover to Secondary SMTP Server to send emails." Custom send filter to intercept, rewrite the content of outbound messages or to convert into another format, e.g. SNMP Traps. 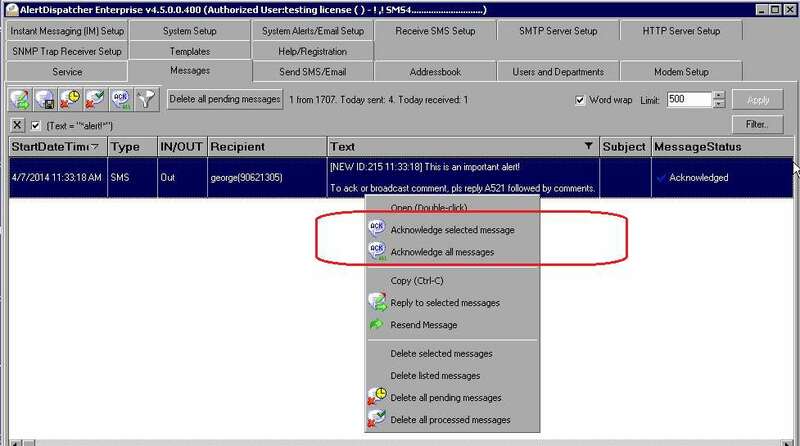 Assign monthly SMS send limits to users. Remove acknowledgement requirement for messages contain specific keywords, e.g. recovered, normal (for escalation groups). Emergency pause button for sending messages. 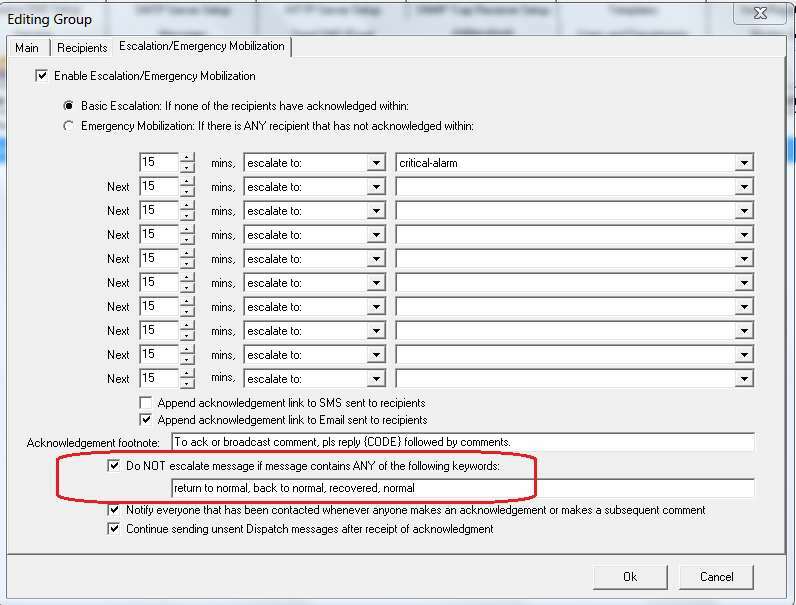 Ability to acknowledge escalation messages using GUI client. Web-based Server Management - Configure networking, upgrade software, backup/restore database and configuration. 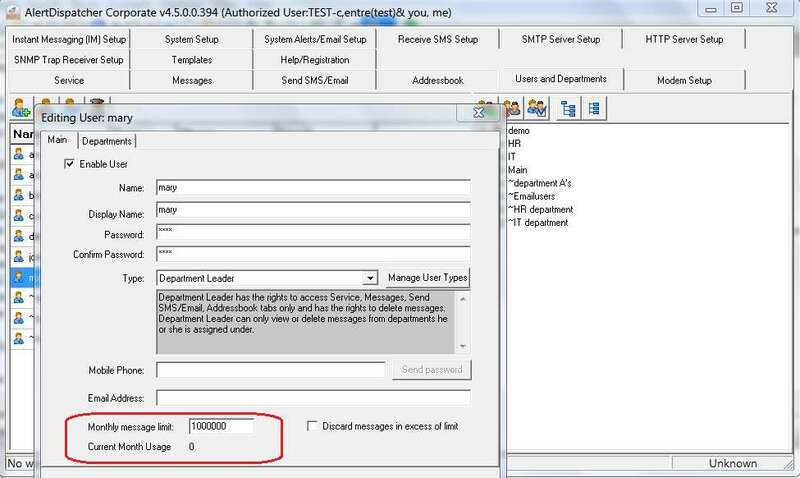 LDAP user integration for SMTP Server interface. 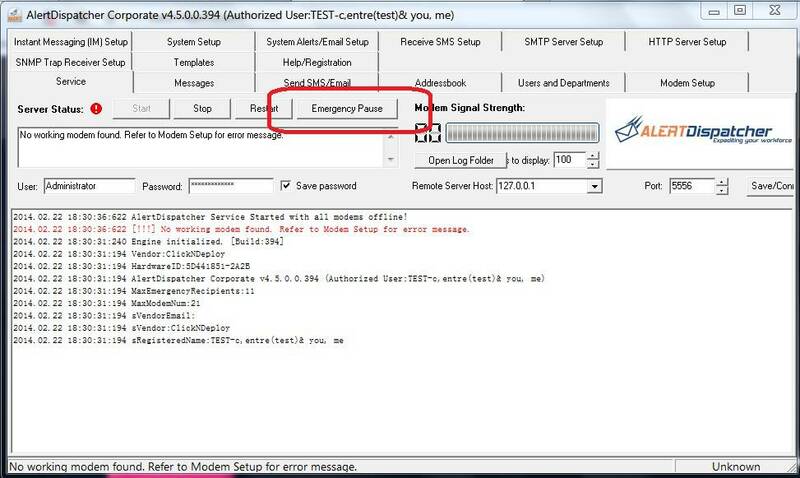 Active/Active Node SMS message failover on modem/transmission failure. Active/Active Node SMS message mirroring for pending messages. 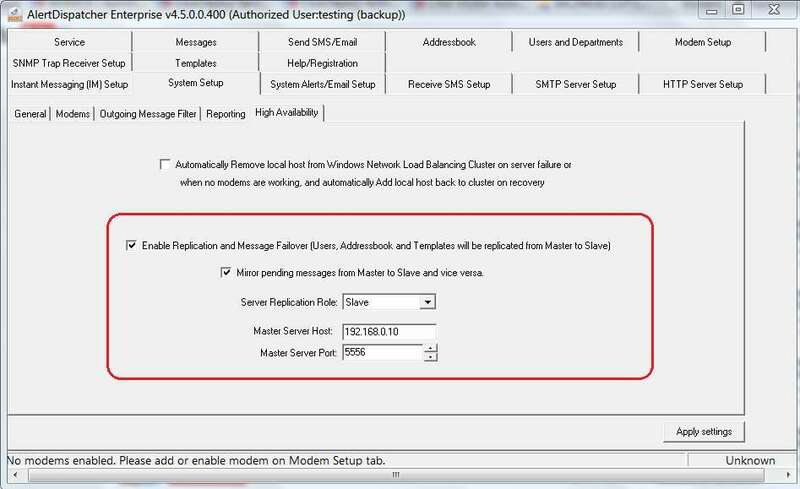 Define failover Secondary SMTP Server to send emails.